Homeowners save energy and money with Aquanta’s water heater controller, which provides remote control and monitoring for existing water heaters. The Aquanta retrofittable water heater controller gives consumers convenient, cost-effective control over one of the most important energy and water consumers in their homes: their water heaters. 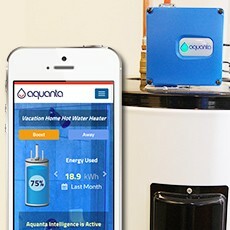 Aquanta worked with IoT experts from Ayla Networks to build the cloud connection that controls its retrofit water heater product, which is designed to help consumers save money and become more energy- and water-efficient. 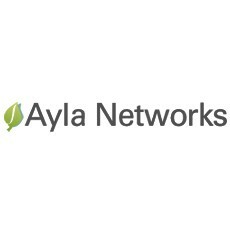 “Ayla’s IoT platform allows manufacturers such as Aquanta to get secure, reliable connected products to market without having to become IoT technology experts themselves,” said David Friedman, CEO and co-founder of Ayla Networks. Aquanta estimates that retrofitting water heaters with the Aquanta controller can enable consumers to enjoy 10 percent to 30 percent in energy savings because they heat water only when needed. In addition, utilities can use the Aquanta water heater controller as part of their programs to help control energy demand to the grid, which is important for achieving mandates to reduce energy usage and avoid grid overloads. The Aquanta controller installs easily onto a home’s existing gas or electric water heater. Its enabling technology accurately measures both energy going into a water heater as well as the energy being used. Aquanta’s software uses this sensor data to “learn” and control the water heating according to a resident’s actual usage patterns. The Aquanta retrofittable water heater controller is the latest example of how Ayla IoT technology is helping manufacturers of all kinds to participate in the growing IoT market, reaping benefits for themselves and for their customers. Other recent smart home products leveraging Ayla IoT platform technology include Hunter Fan ceiling fans, Fujitsu air conditioners, Kidde fire safety devices, LockState door locks and Dimplex electric heaters.